You probably know that revealing the information contains in Server Signature could be a security thread to your system. Nowadays, it is very easy for anyone to get Server Signature of your website. There are plenty of websites on internet to reveal such information like ‘whatsmyip‘. You can Disable Server Signature by Editing Htaccess/Apache to hide such sensitive information. You can also use a WP plugin to Turn off Server Signature in WordPress. In this post, I will discuss about how to Disable Server Signature by editing Htaccess/Apache. First of all, we need know What Server Signature is? and Why hiding Web Server Signature of your website is really important? How you can Turn off Server Signature in WordPress? Furthermore, HTTP response header information also reveals PHP version you are using on your website. This HTTP response header information is regulated by ServerTokens in Apache Server. Therefore, revealed information about the PHP version through HTTP response headers looks like the example given below. You can check your websites server signature status on whatsmyip or Firewallmonitor. Why Hiding Web Server Signature is really important? Error pages of your website like 404 not found, 403 access forbidden pages contains server signature i.e. server version number, operating system etc. Such information could be misused by attackers. Mostly servers or operating systems has some loopholes that could be misused. Hence, one with these details can paralyzed your system with focused attacks. Unknowingly or knowingly, revealing such information about your server/operating system/PHP versions is a potential threats. And it is a big security risk for you website which are hosted on such web servers, it shows your system’s vulnerability to attackers. Before you edit Htaccess/Apache config files, it is advisable to create a backup of configuration file. So that you can go back to previous state if something went wrong. How to Disable Server Signature by editing Htaccess/Apache? There are various ways to Disable Server Signature, and it totally depends upon your server. Here I will share few most commonly used server signature disabling methods for Apache. To Disable Server Signature on Apache, you need to edit Apache config file. You can found config file on following locations depending upon the operating system being used by your web server. PHP version in HTTP response header can also be hide by setting ServerTokens to Prod. In order to Turn off Server Signature in WordPress, you need to edit Htaccess file. Here is detailed guide How you can edit Htaccess file on WordPress. 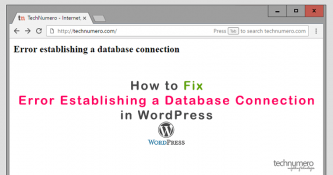 Another method is to use a WP Plugin. There is a WordPress Plugin available for free on WordPress repository call WP htaccess Control. You can use this plugin to Turn off Server Signature in WordPress. The plugin is especially relevant for beginners. If you have used WordPress for at least 2-3 months, you must know how to use code in Htaccess file. I would recommend you to use the Htaccess code instead of using a plugin for only this purpose. Did you know that, you can increase your WordPress Website PageSpeed in a significant manner by only using few line of code in Htaccess. Here is a detailed guide about How to Increase Page Speed using Htaccess (WordPress). In addition to that, there is a bonus tip. 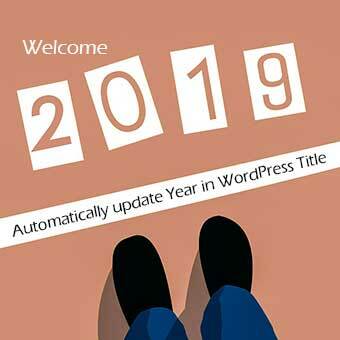 You can also Disable WordPress Version information from your website. You need to edit your functions.php file rather than Htaccess file for this. Add given below code in the functions.php file of your WordPress theme. It will remove the WordPress version you are using from signature. I would recommend you to hide all sensitive Server Signature Information by disabling it. You can edit Apache configuration file or edit the Htaccess files, in order to minimize risk and to strengthen your system. Hope you find this post useful, which method you are using to turn off server signature. Do share your feedback in the comment section below. Its not really worked foe me! I passed all step, i have “X-Powered-By – W3 Total Cache/0.X.X.1” on my server print. How to disable server signatur if i’m using godaddy shared hosting plan? As far as i know, Godaddy shared hosting plan uses the Apache server. Edit your .htaccess file and paste the following code into the same. This did not work for me. 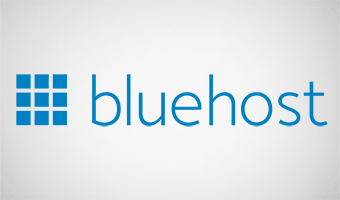 Bluehost web hosting. Apache server. Did not work. Any further input would be appreciated. It should work, however, you can contact to your hosting provider. ServerSignature Off” but its not working for me.. how can i disable ? Add the following code into htaccess file. Try to put the following code in htaccess file… if you are on apache, it should work. Godaddy shared hosting plan uses the Apache server. Edit your .htaccess file and paste the following code. Informative and Helpful article .. Thanks. Glad, I could help.